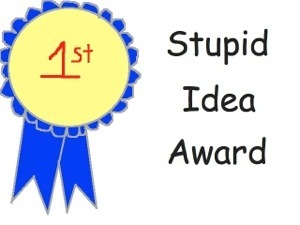 I just read a blog post from a writer who admitted that he dismissed two early ideas from young inventors. The inventions turned out to be Pinterest and Vine. Pinterest is a very successful content sharing service that allows members to “pin” images, videos, and other objects to their pinboard. It also includes standard social networking features. Vine is a mobile app that enables its users to create and post short video clips. The same thing happened to me. One day a few decades ago, Eliot called me from work when I was home sick saying two Japanese men stopped by the office to show us two games they were bringing to the U.S. market. I said, “Get rid of them.” I wasn’t feeling well and not getting out of bed to see some dumb games. That turned out to be Nintendo. What’s the moral of the story? Take a second look.